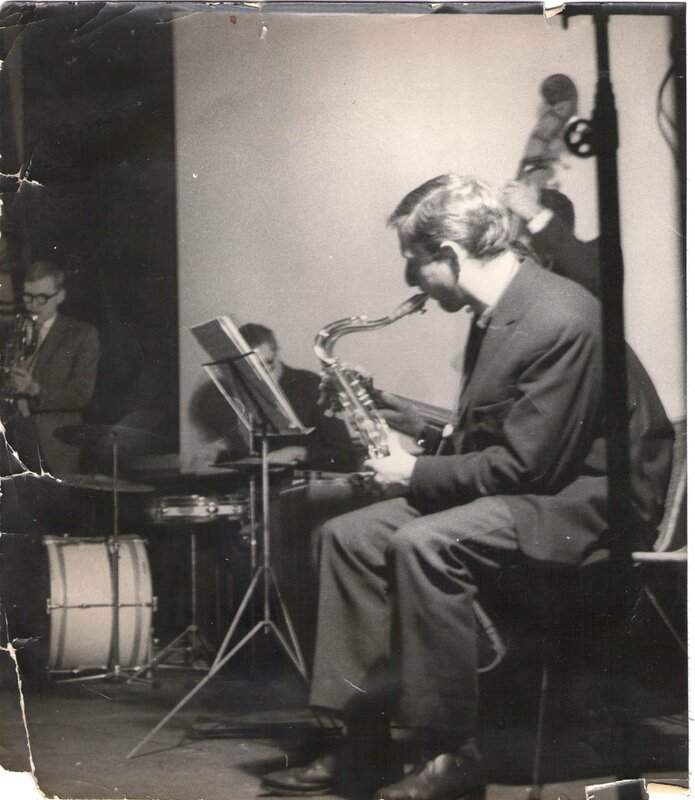 My “Musings” starting this week about the unique Scottish saxophonist who meant so much to me are not going to take the form of a biography. None has yet been written in book form and, for details of Bobby’s life, the best current source is Gary Barber’s 60 minute film tribute Dreams are free in which Bobby himself talks candidly and entertainingly about the ups and downs of his life. All I want to do is trace his musical development by reference to a sequence of recordings and (later) to talk about my own experiences of and friendship with him. We start long before I met him with his recording debut as a member of the Buddy Featherstone-Haugh quintet in December 1956 (a rare ep on the Pye-Nixa label). The leader was an eccentric character who played baritone and the group also includes a young Kenny Wheeler on trumpet but the main interest here in hindsight is the curious fact that no blindfold test would reveal the identity of the tenor player. Bobby just doesn’t yet sound like Bobby at all. It could be any up and coming talented Stan Getz-clone. I cannot detect any elements of his later trademark tone, phrasing, melodic and harmonic approach. Of the four tracks, try for example Henrietta. And then suddenly a mere three years later, it’s all there. You just have to listen to his incredible, ground-breaking solo on Caravan from Tony Crombie’s lp “Jazz Inc – Swinging music in the modern manner” recorded in front of a small, invited audience in January 1960 (Tempo TAP 30). Harry Klein, who was on the session, spoke of Bobby as working from a different pitch centre. That goes some way to describing his sound and it’s interesting that he does play a tiny bit sharp. Not in Jackie McLean’s league but I’ve often wondered why I find Bobby and Jackie two of the hippest improvisers. I wonder if it’s their intonation that gives their playing a sardonic edge. Caravan is a magnificent performance and most significantly it is our first example of Bobby and Stan Tracy playing together. Their partnership of course was to be one of the highpoints of British jazz for the rest of the 1960s. Stan and Bobby’s first venture together was an early experiment with poetry and jazz. Michael Horovitz and Pete Brown (it was wonderful to see them both at Bobby’s funeral) would recite free verse to the accompaniment of jazz improvisation. The band included Laurie Morgan on drums, Jeff Clyne on bass and either Les Condon on trumpet or John Mumford (a modernist from Bruce Turner’s Jump Band) on trombone. A typical concert – featuring the long poem Blues for the hitchhiking dead was captured on tape in 1962 and has been issued on record as a double lp (Gearbox GB 1518). Bobby’s contributions are exquisite. 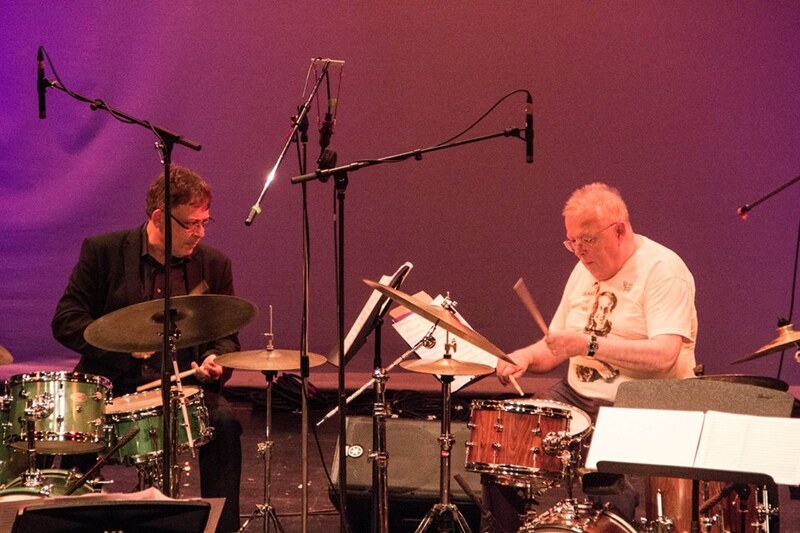 The venture was billed as “New Departures” and the instrumental quartet of Stan, Bobby, Jeff and Laurie recorded an lp under the name of “The New Departures Quartet” (on Transatlantic TRA 134). Unfortunately the recording is pretty amateurish and poor Laurie Morgan sounds as if he in another room, unable to hear the rest of the band very well (I think he said so himself!). However, Bobby and Stan’s contributions are well captured and the record includes the first ever version of The battle of Culloden Moor, a suite which was revived by Bobby’s sextet in the 1970s and then again in 2013 with the Scottish National Jazz Orchestra. It received a posthumous tribute performance led by saxophonist Mornington Lockett with Simon Allen conducting a big band at the Herts Jazz Festival in 2017. The “New Departures Quaret” lp also contained a wonderful example of the keening, bagpipe quality of Bobby’s sound on the simple blues McTaggart. Please go to the music page to listen to Henrietta, Caravan and McTaggart.